A visit to Olana, home of Frederic Edwin Church | When I Survey . . . I have lived in the Berkshires since 1982, but had never visited Olana, the spectacular home of landscape painter Frederic Edwin Church, until yesterday, despite it being only an hour away by car. We live just a few miles from the border of New York State, but for some reason it acts as some sort of invisible force field so that we go in that direction to see the sights far less frequently than those here in Massachusetts. But I knew about Olana, because a few years ago I had heard an interesting paper given about it at the Monday Evening Club by Ron Trabulsi. When the members came to comment on his paper I think I was the only one in the room who hadn’t been there, so I resolved to go. And I’m glad I did, because Olana is well worth a visit. It is a fascinating place with a fascinating story. Frederic Church (1826-1900) was a New Englander who came to the Hudson River Valley when he was eighteen to study with Thomas Cole, the English-born American artist who is generally considered the founder of the influential Hudson River School of landscape painters. Church was able to be a painter because he came from a prosperous family. His father was a silversmith and watchmaker in Hartford, and his grandfather had founded the first paper mill in the Berkshire town of Lee, about ten miles south of where I write this. Like Cole, Church painted lush atmospheric landscapes of the American frontier. These suggested something mystical about the young country’s land and water and air, and they were very popular. After a trip to South America Church painted a landscape of a scene in Ecuador he called “The Heart of the Andes” (1859, now in the Metropolitan Museum of Art in New York.) He took this painting on tour and sold tickets to see it. Eventually he sold it for $10,000.00, the highest price for an American painting at that time. But these big spiritual landscapes were in time to fall out of fashion to the, you guessed it, Impressionists, and Church put more and more of his attention to the development of Olana, which is itself a work of art. He had the time, the talent and the money to make his home into a life project. He knew the site for he had sketched from the place that was to be Olana back in 1845, when he was studying with Cole. 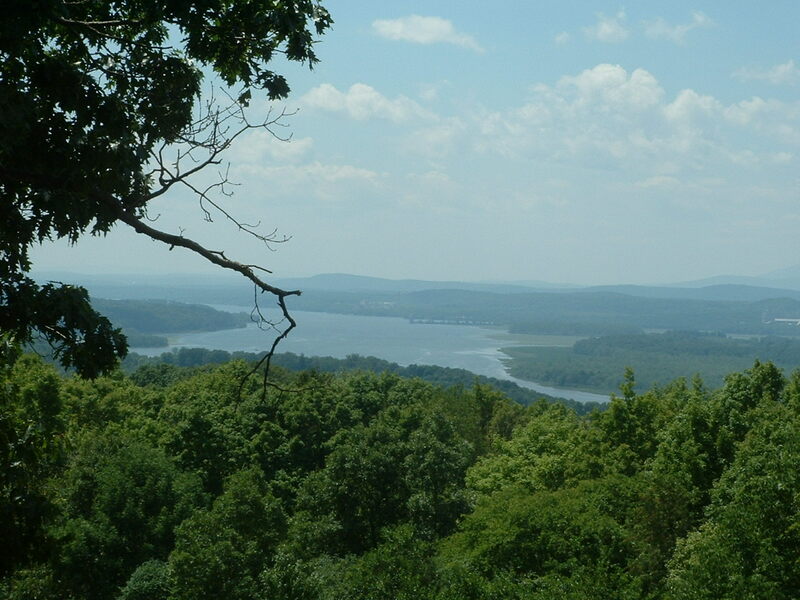 In 1860, just prior to his marriage to Isabel Carnes, he purchased the 126 acre farm near the town of Hudson and overlooking the Hudson River. 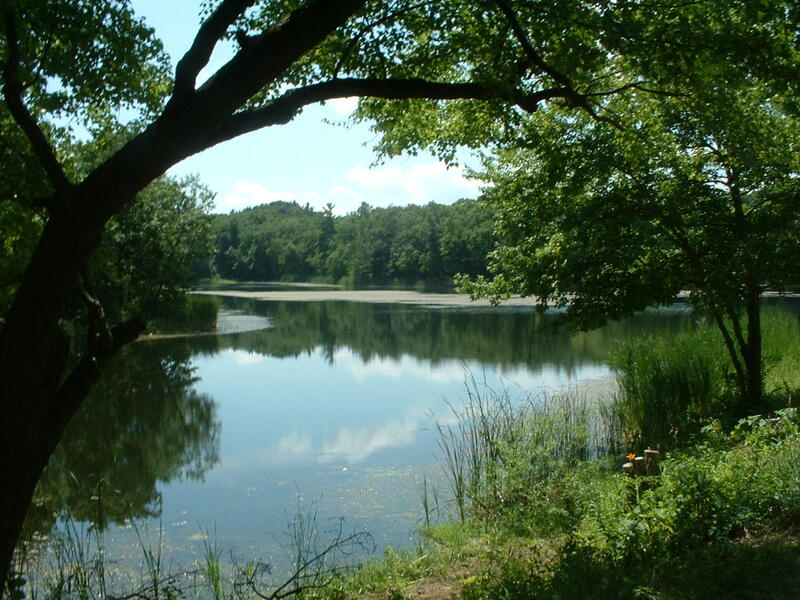 He built a cottage, laid out an orchard and gardens, and dredged a lake out of a marsh. In 1869 he purchased a wood lot on the top of the hill, and this is where he would build Olana, an eclectic villa incorporating several styles of architecture. 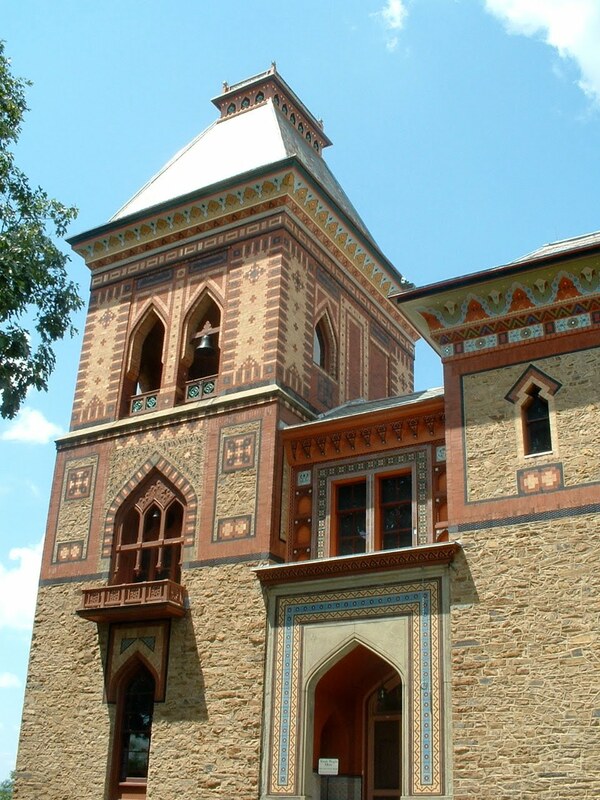 Olana is a unique blend of Victorian architectural features with Italianate influences and Moorish decorative motifs. When Church would travel his painterly eye would be attracted to some design feature that would later make it’s way to Olana. He traveled to Mexico later in life, and brought ideas he had seen there into the decorations. Olana is hard to describe because it is so eclectic (even eccentric). The thing that holds it all together is Church’s own painterly vision and decorative sensibility. 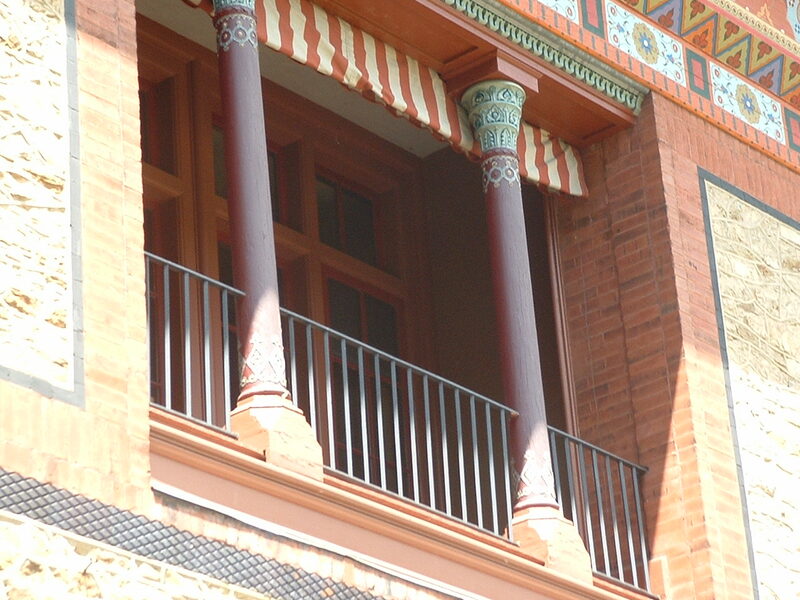 Olana is now run by the New York State Office of Parks, Recreation, and Historic Preservation. They have a good web site to describe how to visit. You can only see the inside of the main house on a tour, which you should do. Several of Church’s paintings can be seen, as well as some by Cole. The grounds are also lovely, as Church shaped them by his own designs. Take a picnic and sit by the lake. There is an extensive system of trails and carriage paths, so bring your walking shoes. The whole visit was an experience of a day gone by. ← Cycling and sportsmanship: Should Alberto have waited for Andy? >Rick, that paper was by Ron Trabulsi, not Al Easton.http://mondayeveningclub.blogspot.com/2009/04/center-of-world-frederic-churchs-olana.htmlBy the way if you enjoyed Olana I recommend also the Mark Twain house in Hartford CT.
>Thanks, Martin. BTW, Mark Twain was a visitor at Olana. I have a great affection for Olana. My Grandfather Supervised the estate for years and I spent some of my youth at my Grandfather and Grandmothers during the war and my father was a Chaplin in the Airforce. We lived in the original Cottage which Mr. Church used while the Castle was being built. I remember Lewis Church who gave us nickles when he drove in. My uncle by marriage was his driver. I have many memories of the Castle and living there, On my Grandfathers 100th birthday they (Gov.Rockefeller) closed the castle to the public and we were able ot have his birthday in the Castle. A lovely remembrance of a day gone by. We have lived in the Berkshires for over 30 years and finally got over there to see it. It is quite impressive. Thank you so much for your comment.